Their food is so highly rated that even Guy Fieri heard about it and stopped by for an episode of "Diners, Drive-ins and Dives." St. Patrick's Day is this Sunday. To help you celebrate, don't just dawn on those green clothes and order a pint of Guinness like you do every year. Instead, try authentic Irish fare at Culhane's Irish Pub & Restaurant. 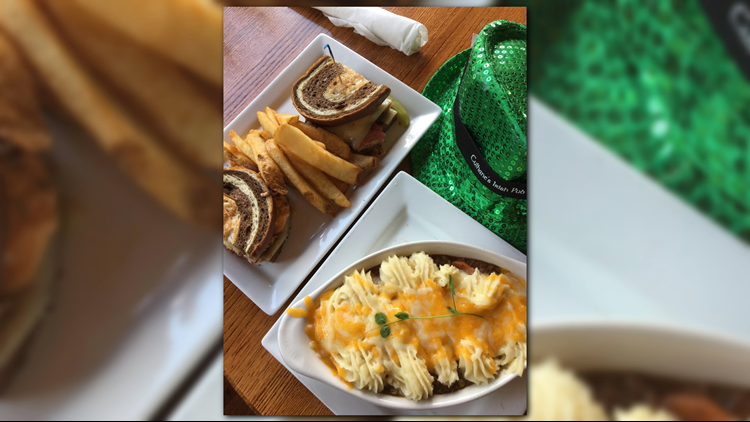 You can get the full Irish food experience at Culhane's two locations: The first in Atlantic Beach, 967 Atlantic Blvd., and the second (newest) location on the Southside, 9720 Deer Lake Court, in the former Tilted Kilt building. The restaurants are owned by the four Culhane sisters, who originally hailed from Ireland: Mary Jane, Michelle, Lynda and Aine. "I just really found my home [here]," said Mary Jane Culhane-Crowley. "People were so friendly, warm and I told my sisters that I had a great opportunity for them. Let's open up a pub 'cause at the time, there wasn't a real, Irish authentic pub in Jacksonville. So we decided to pull our life savings together and we opened in 2005." The Munster Reuben sandwich, made with Cinotti's thick marble rye bread and Shepherd's Pie. Both are popular dishes at Culhane's. Since the beginning, the sisters knew they wanted to open up a restaurant in addition to a pub. "We come from a farm background where we love good, traditional Irish food, everything's made from scratch," Culhane-Crowley said. "So we definitely felt like we needed to bring something like that to Jacksonville." Their food is so highly rated that even Guy Fieri heard about it and stopped by for an episode of "Diners, Drive-ins and Dives," back in 2010. 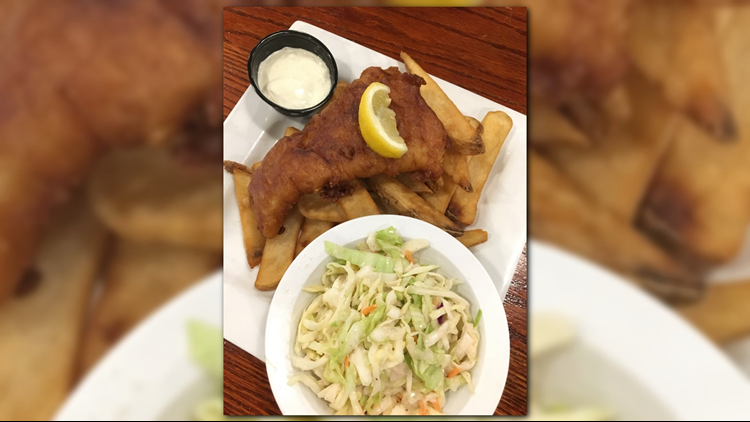 Culhane-Crowley said their most popular dish is the fish n' chips, which comes with steak fries and some homemade tartar sauce. Their cod is from Boston. Other favorites include Bangers' N' mash, the Munster Reuben sandwich, Nana's Sausage Rolls and Kearney's Corned Beef N' Cabbage. Kyle's Fish N' Chips: North Atlantic cod fillets, beer battered and fried golden brown. served with steak fries, tartar, old bay coleslaw and lemon wedge. "We have a lot of recipes from Ireland that we enhanced," she said. "The Sheperd's Pie is made with beer and our Guinness beef stew is made with Guinness. That's not what you would do in Ireland." Unlike most Sheperd's Pie dishes, Culhane's dish has a sweet and savory taste. "People love it, it's so unique," Mary Jane said. "It's sweet. Make sure you like sweet savory. We always offer samples ahead of time because it's so unique and different. But once you like it ... You're on it all the time ... You love it." Guinness Beef Stew was Guy Fieri's favorite! This year, Culhane's is hosting its 13th annual St. Patrick's Day Bash at the Atlantic Beach location. It will be the first bash at the Southside location. Each location will serve plenty of Irish drinks, a limited menu full of fan favorites, as well as live entertainment, including Irish step dancers and the Jacksonville Pipes and Drums. Entertainment will be inside and outside of both establishments. Festivities begin at 8 a.m. with traditional Irish breakfast like Corned Beef Hash with Scrambled eggs. The lunch and dinner menu will be served at 11 a.m. until close at 2 a.m. There will be a $10 cover charge at 10 a.m. Kids are free all day during the daytime. Click here to see a detailed itinerary of the events at both locations. Melissa Guz is a digital content producer for First Coast News and content creator for First Coast Foodies. You can follow her Twitter and First Coast Foodies on Facebook and Instagram.